To succeed in the daunting path of entrepreneurship, vision, unique business ideas, persistence, self confidence, creativity and hard work have been identified as some of the essential ingredients that must be paid close attention to. 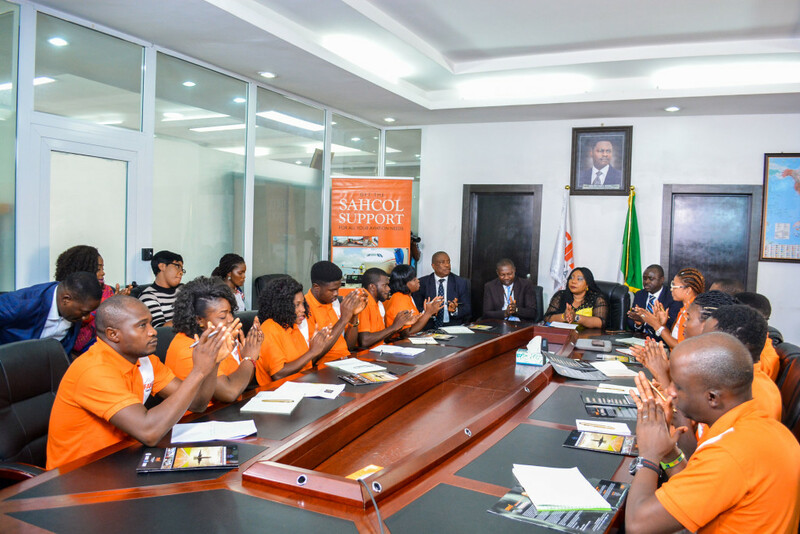 This was disclosed by Dr. Taiwo Afolabi, Group Executive Vice Chairman, SIFAX Group, while receiving contestants of The Next Titan business reality TV show in his office at one of the company’s subsidiaries, Skyway Aviation Handling Company Limited (SAHCOL) at the Murtala Muhammed International Airport, Lagos. SIFAX Group is a sponsor of the show. According to Afolabi, who was represented by Dr. Fola Rogers-Saliu, Executive Director, Human Resources & Administration, SIFAX Group, the task of birthing and building a business idea to maturity and profitability stage is not a child’s play, hence, grit, sacrifice and determination are required. Afolabi further urged the contestants to work on their person as an entrepreneur because of the critical role he plays in the over all success of his business. “As the driver of the vision, a whole lot rests on his shoulders and he must possess certain qualities top of which is a penchant for prompt business decisions that must be based on sound knowledge, without which, success can either be limited or non-existent. He also said SIFAX Group has been providing support for The Next Titan show since inception because of the company’s philosophy founded on the belief that the promotion and support of entrepreneurship, especially among young people, will help create more jobs and improve the country’s economy.